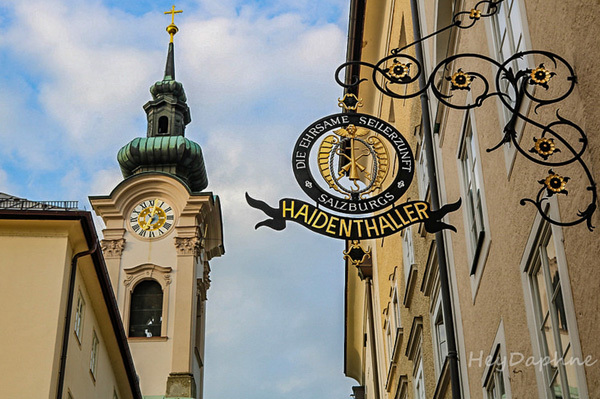 Salzburg is by far the most musical city in Europe with tourists flocking to thousands to get to know Mozart's city and admire the beautiful landscapes where the Sound of Mousic was shot. The truth, however, is that there are far more reasons to visit this fabled city on the border of Austria with Bavaria. I had heard a lot about Salzburg long before I got there and so when we decided a few months ago to visit Munich, it was now a fact that we would devote a small part of our trip exploring this charming gray city at the foot of the Alps (read more about Munich, here). 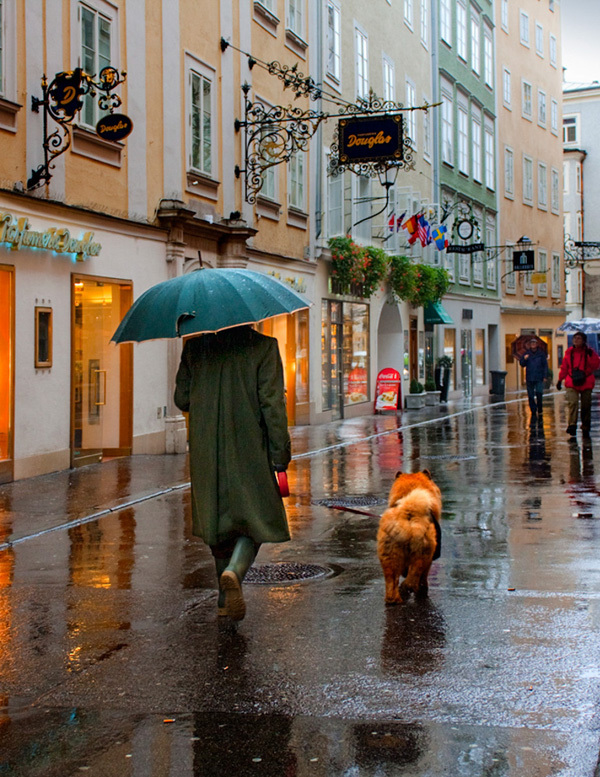 Since we only stayed one day in the city, we left Munich about 7am and after only two hours our bus arrived in the rainy and frozen Salzburg. 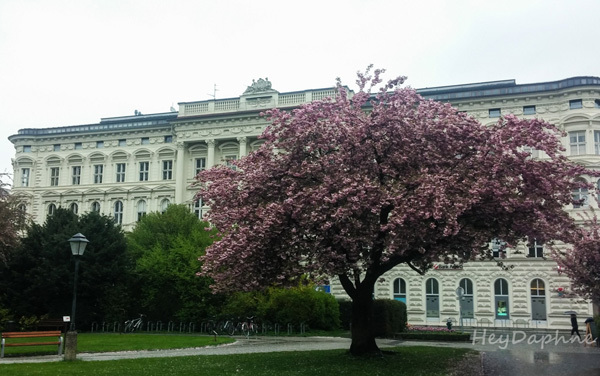 Defying the drizzle and the cold, we walked for about one kilometer until we were in the beautiful Mirabell Gardens, where the palace of the same name stands. 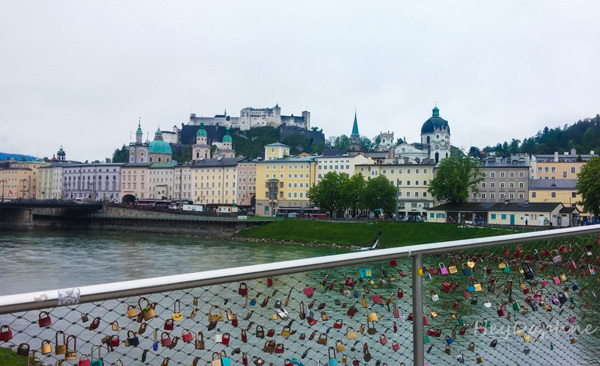 We had already bought the Salzburg Card, which with 24 euros for a day or 32 euros for two, provides you free access to all the major sights of the city as well as public transport. 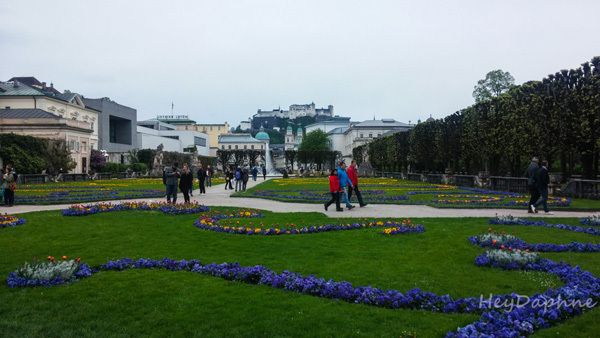 The Mirabell Palace and Gardens were so beautiful, just like the Salzburg image that I had in my mind of what I had seen and heard so far. 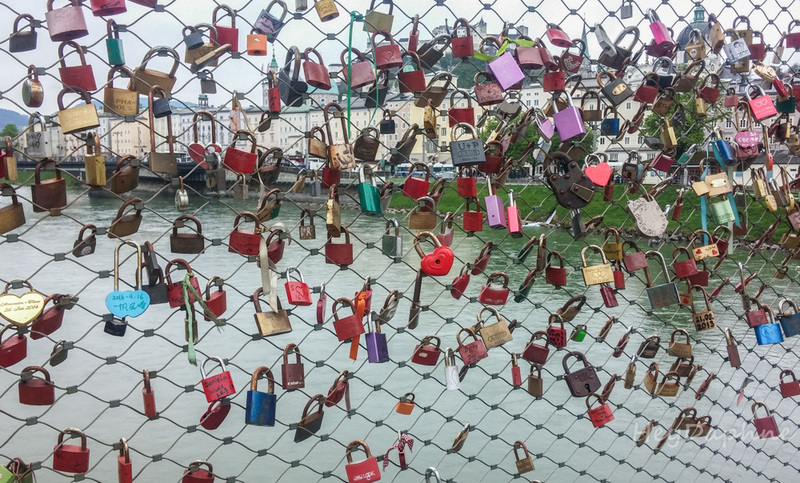 And it was just that moment that I fell in love with the city. 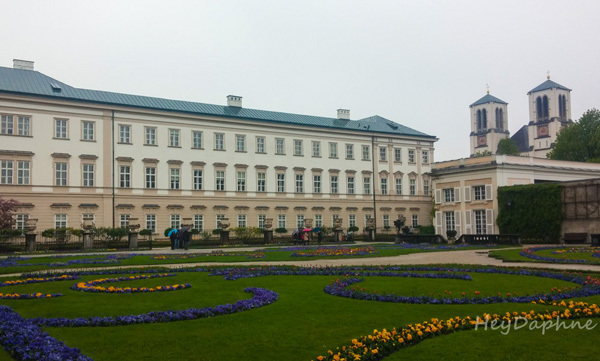 Having forgotten the rain, we began to photograph and wander in the impressive baroque palace of 1606 and in the beautiful geometric gardens with the colorful flowers. And somewhere there, as we transfered intelligently to other times, the rain began to grow stronger and brought us back to now. 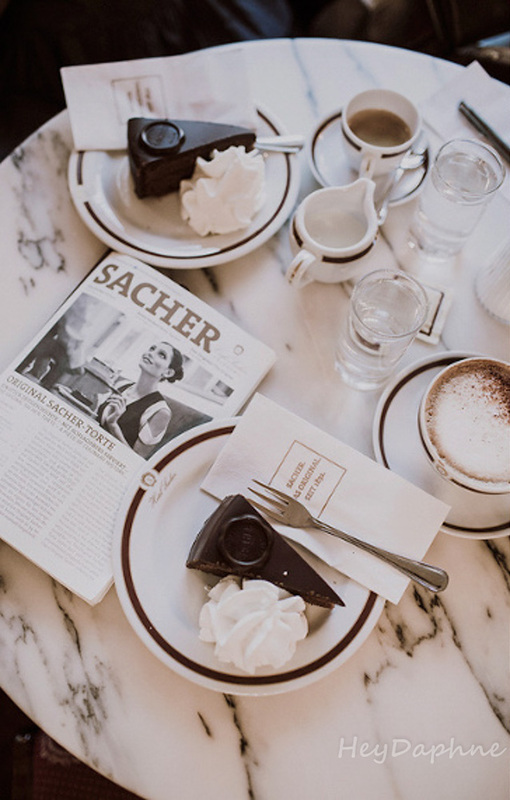 Since it was impossible to continue our walk in the city with this rain, we ran to sit at the Sacher Café that was just a few meters below. At Sacher Café we would go anyway because there was no way to be in Austria and not eat my beloved sachertorte, but we planned to visit it a little later. 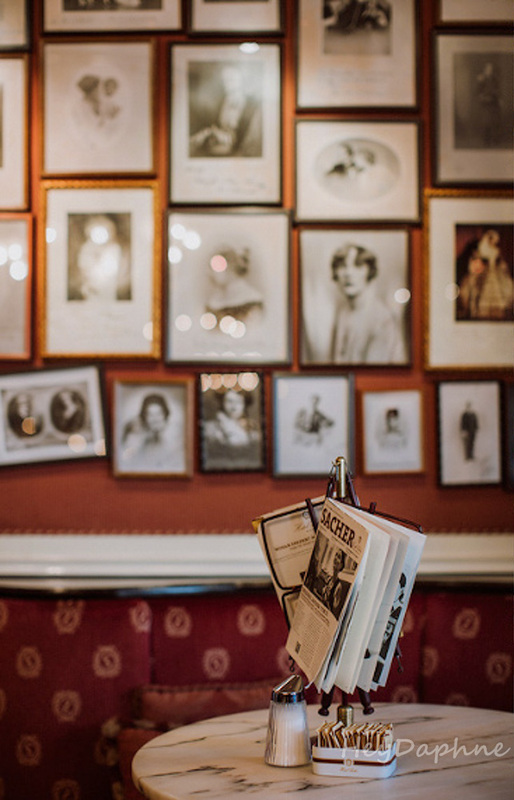 So, I sunk into the red velvet sofa, staring at the city's view from the huge windows. About 2 hours and 2 pieces of sachertorte later, we took the brave decision to continue our walk in the city. 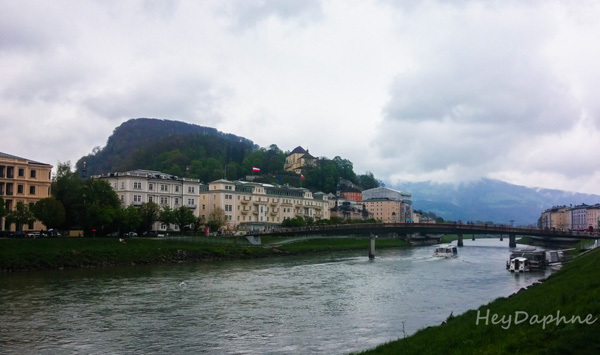 It was now time to cross the other bank of the Salzach River, where most of the sights as well as the old city of Salzburg are located. 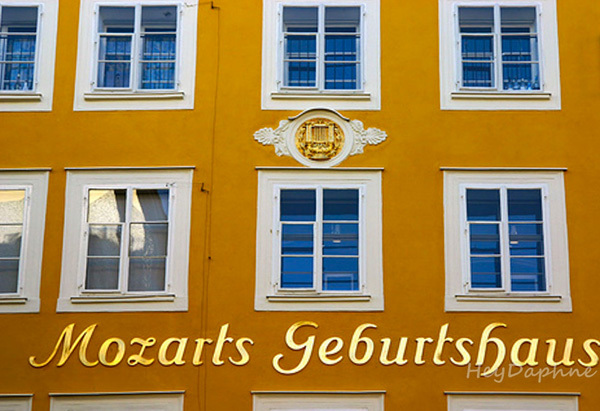 We crossed the Makartsteg Bridge with thousands of colorful locks and in less than 5 minutes we arrived at the house where the famous Wolfgang Amadeus Mozart composer was born in January 1756, and since 1880 it has been transformed into a museum. This beautiful yellow building at Getreidegasse is one of the city's most important attractions and the queue in the entrance was really big, which did not concern us, as we did not have to wait since we were Salzburg Card holders. 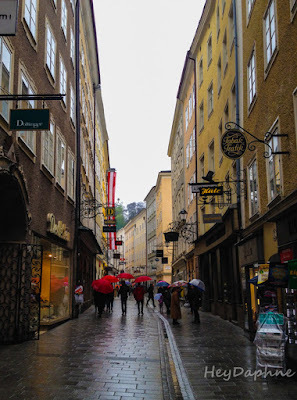 Leaving the Mozart Birthplace, we continued our walk in Getreidegasse, the road that passes in front of the house, which over a beautiful pedestrian street with impressive medieval metal signs hanging over each shop is also by far the busiest street of the city. 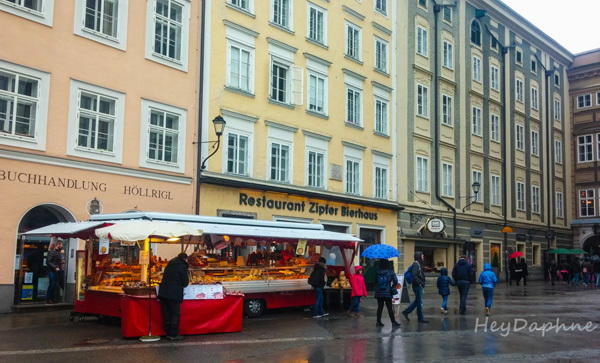 We crossed Mozartplatz and continued to Residenzplatz, the huge square with the dozens of horse drawn wagons in the heart of the historic center. The fountain located in the center of the square was designed by Tommaso di Garona between 1656 and 1661 and is the largest Baroque fountain in central Europe. 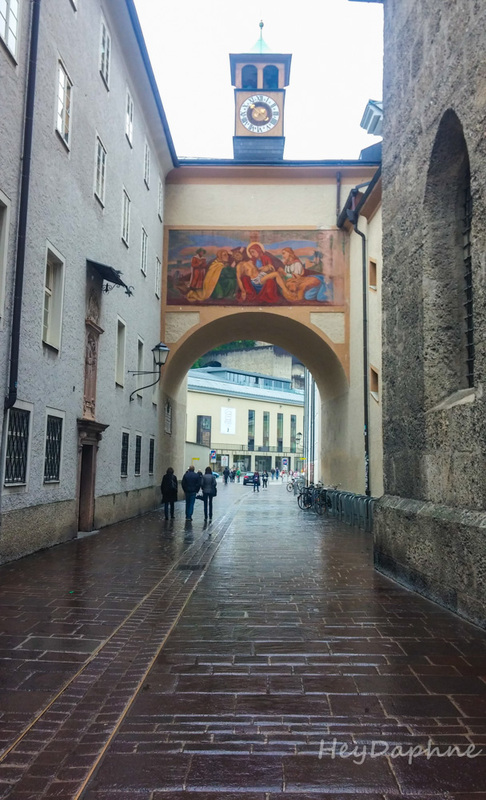 On the Residenzplatz is also located the Cathedral of the city with the imposing dome and the impressive murals. 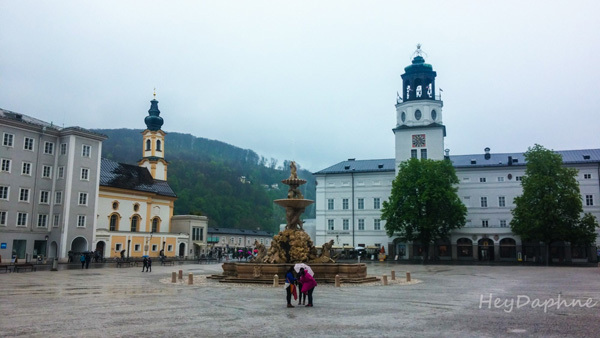 On the opposite side of the cathedral there is also an impressive square, the Kapitelplatz. What impresses you once you find yourself in the square is the beautiful view of the city's castle, which seems to be so close that you think you will catch it if you stretch your hand. 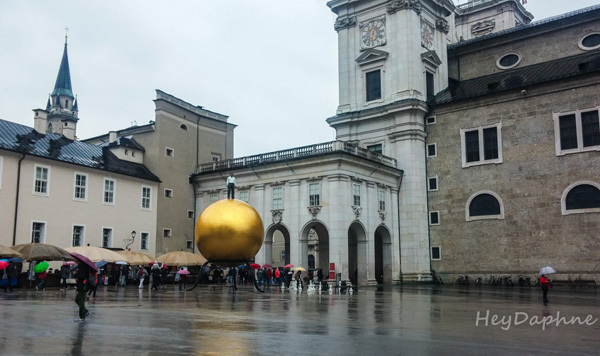 On the square stands the impressive sculpture of Stephan Balkenhol depicting a man standing on a golden sphere, as well as the huge chess with the giant pawns and of course the impressive fountain with the statue of Poseidon. From Kapitelplatz we started climbing up to the Salzburg castle. 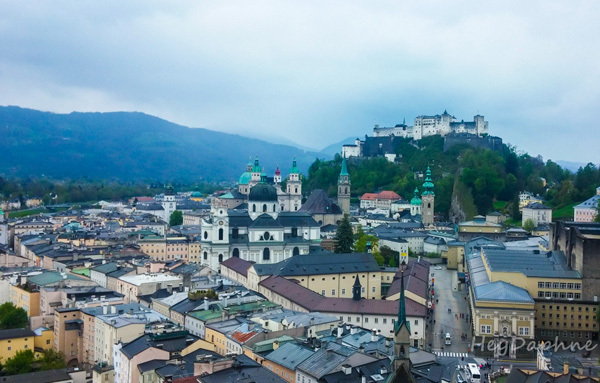 The Hohensalzburg Fortress is built on a hill just above the historic city center and you can access it via a cable car. The magical view of the city through the glass wagons of the cable car is in itself a very important reason for anyone to use it, whether you want to visit the castle or not. 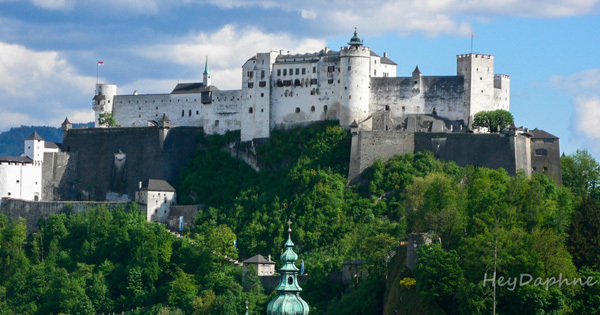 Hohensalzburg Fortress is the emblem of the city and is the largest fully preserved castle in Central Europe. The castle was built in 1077 by Archbishop Gebhard, and its present form remains the same since 1500. 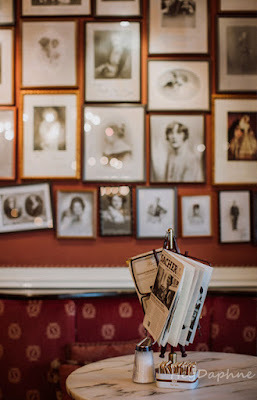 An impressive fact about the history of the castle is that in its nearly 1000 years of life, it has never been captured by enemy troops. 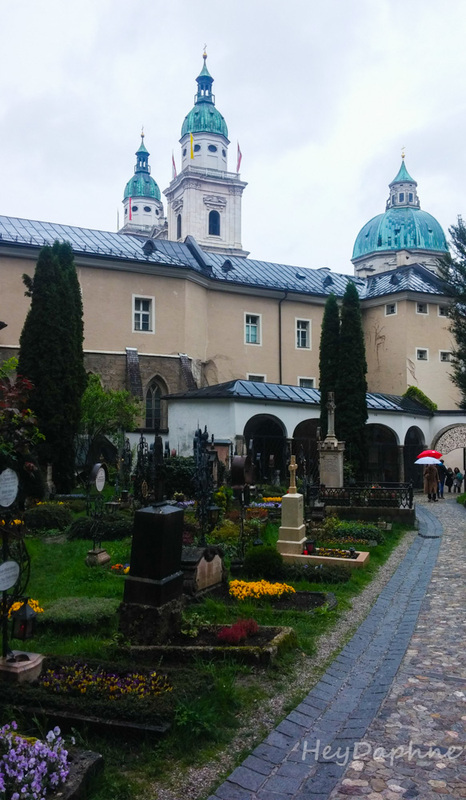 It was during the descent from the castle where our stomachs began to purr, so our next destination was Augustiner Bräustübl. The distance that separated us from the city's most famous beer house was about 2 kilometers so we decided to go there on foot. On the way we stopped in St. Peter's Cathedral and the beautiful Cemetery, the Franciscan Church and we continued along the river. 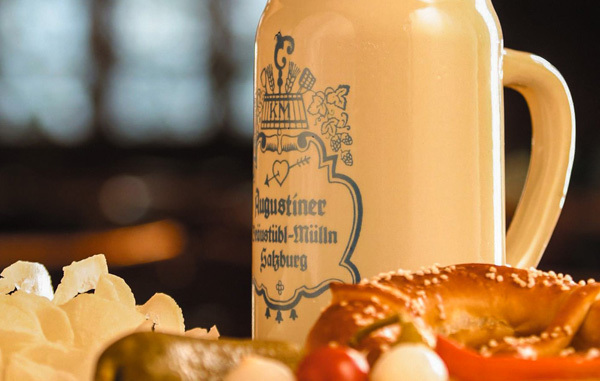 The Augustiner Bräustübl has a huge 5,000 m2 indoor space, with many halls that make the comparative brewery the largest in Austria, and has 1400 additional seats in the outdoor beer garden. And as impressive as its size looks, the most impressive is that the crowd was so big that you should be lucky enough to find yourself somewhere to sit. There are many stalls around the halls with a wide variety of local traditional specialties, while many locals are used to bringing their own food and ordering only the beers. 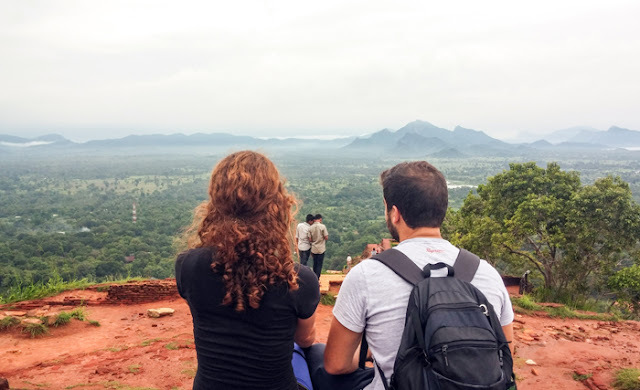 On the other hand, in order to strengthen the local market and take strength after several hours of wanderings, we ordered as much as we could. Sausages, pork knuckle, pork chops, schnitzel, potatoes, sour cabbage and beer, A LOT OF BEER! 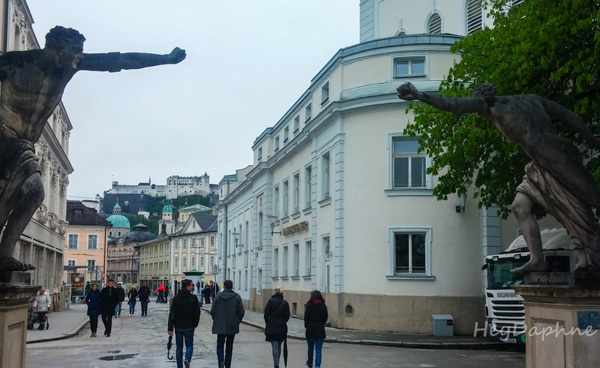 Although we were walking with great difficulty (not because of fatigue, Salzburg is a pretty small city and it is very easy to walk through it, but because of all that we had ate and drank) we went down to the Natural History Museum. I realy love the museums of this kind and having visited many of them on my trips, I could not miss this in Salzburg. It is a very organized museum, much more impressive than what you expect in such a small city. 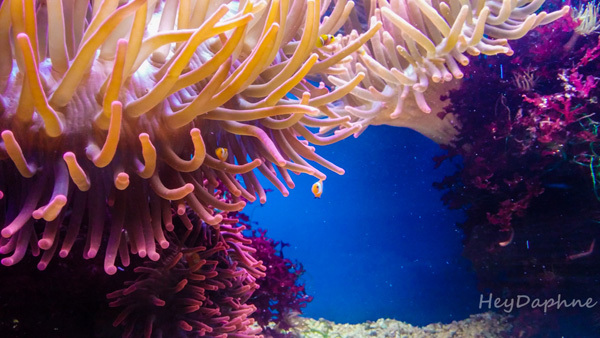 Entering the museum what you first see is the 42-tank aquarium that hosts various species of tropical coral reefs, the Mediterranean, Africa, South America and Southeast Asia. 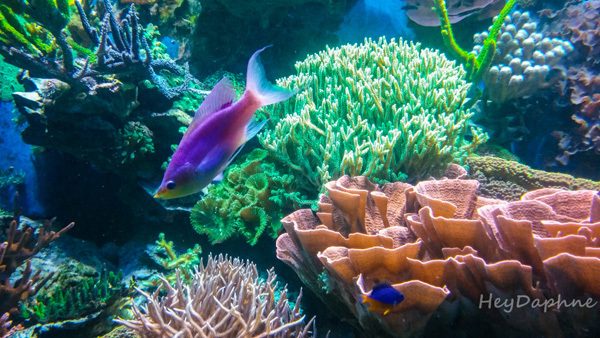 Then we went through the zoo with the reptiles, the dinosaur room, we continued into the science center, the department devoted to the human body and the universe exhibition. Until the time we left the Natural History Museum it was already late enough and the Museum of Modern Art which is located right next to it and was the next one on my bucket list had already closed. We got the MönchsbergAufzug (lift) for the top though and the view from the roof of the Museum der Moderne Monchsberg was amazing. 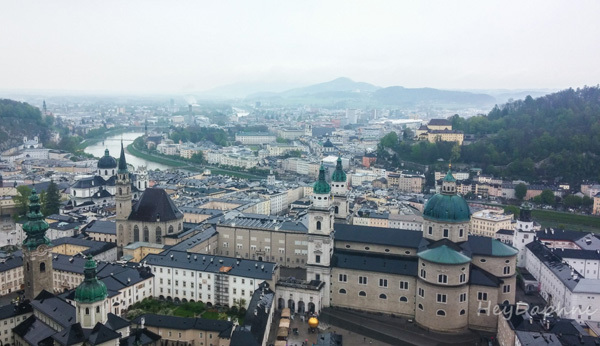 Salzburg is a city that is even more beautiful from above, with a breathtaking horizon and this is the perfect place to say goodbye to a city that will be forever engraved in your mind.